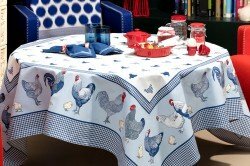 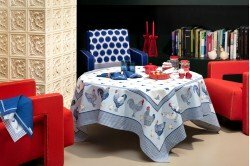 The Picoti Chickens Blue Tablecloth by Beauville is part of a unique collection of table linens, table and kitchen linens that will charm all chicken lovers. Made of 100% cretonne cotton, this collection will bring an elegant French country look to your kitchen or breakfast room! 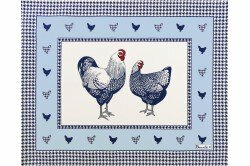 Available in grey or blue. 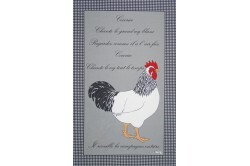 Matching placemats, coated placemats, napkins, table runners and kitchen towels available.